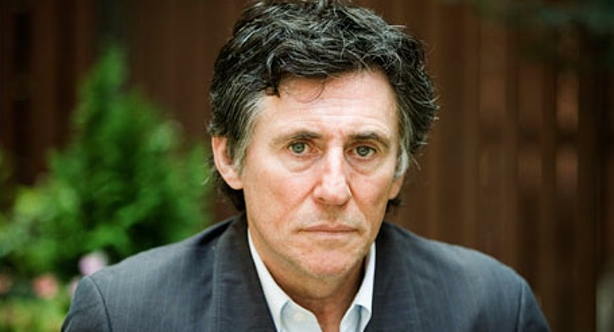 Gabriel Byrne commented that the audition process “is really a most inadequate way to determine if an actor is right or not for a particular role. “Unfortunately, it’s a situation that most actors have to accept. “Work on developing an unshakable trust in yourself and your talent. “It’s great to have a little fire in your belly. But if you’re reading this, my guess is that your problem, if you have one, lies in the other direction. She adds, “We’ve all seen it: that high-strung actor who’s so intent on saying his next line, he’s barely listening for his cue. “Or maybe (ahem) you’ve actually been that person on stage, having a scene go by you in a blur, kicking yourself for letting the scene play you instead of the other way around. “For the speed-meisters, the simplest, easiest ‘hack’ to help you regain control of yourself in the moment is literally to stop yourself ever so briefly before responding in a scene. See her article for more suggestions. It isn’t that high energy is “wrong” – and it is sometimes called intensity or excitability. But there seems to be an enduring mythology about creative inspiration and performing as an actor, for example, that it benefits from an “edge” of nervous tension or even anxiety. “It isn’t at all clear that tension or anxiety is what’s needed for peak performance and lifelong creativity,” he says. “You want enthusiasm, passion, love, curiosity, interest, and so on to inform your work and to exist right in the moment, in the performance moment or the creative moment, while at the same reducing (or eliminating) your fears, worries, anxieties, and so on. 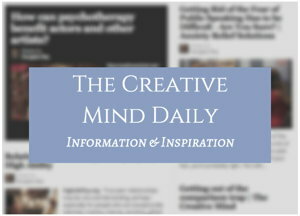 From my post To create we need high energy – not anxiety. Also see Overcoming Stage Fright and other articles and products on the Anxiety Relief Solutions site.